I didn’t expect the ballgame to be a fair fight. In fact, like most everyone else, I didn’t expect it to be a fight at all. And it wasn’t. 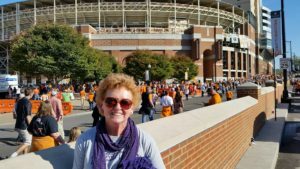 Last Saturday, our Tennessee Tech Golden Eagles met the University of Tennessee Volunteers for the first time in 65 years and—as everyone reading this column no doubt knows–were defeated by the lopsided score of 55-0. Which did little to dampen the enthusiasm and fun of the fans in Neyland Stadium. 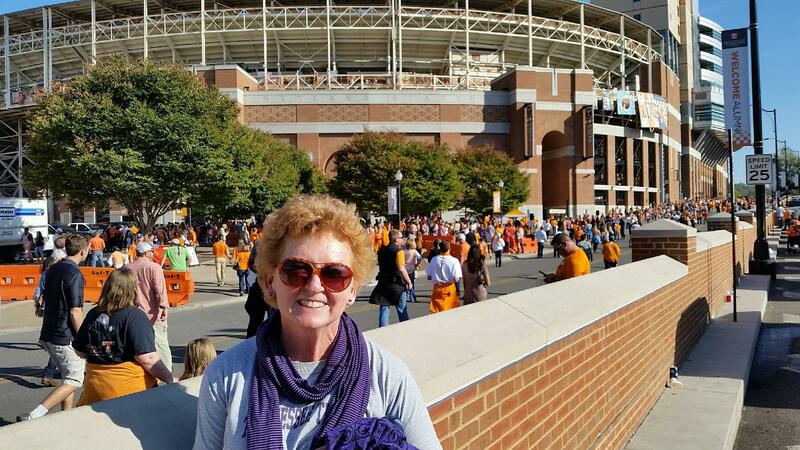 I’ve lived in Tennessee for more than forty years, most of those years right here in Cookeville, but until last weekend I’d never seen UT play football in person. I’d cheered for the Vols a million times on TV and on the radio, but I’d never set foot in Neyland. What better chance to cross that experience off my bucket list than the day they played the team from my town? Certain that the traffic situation on I-40 would be horrendous, my friend and I decided to take the backroads. We used cell phone navigation—backed up by an old-school folding road map–to get us there, overriding Siri every time she tried to lead us back to the interstate. We picked up Highway 70 in Crossville and followed it east all the way to Lenoir City. Then we took Highway 321 to Maryville, turned north onto 129 and ended up right where we needed to be in Knoxville. And you know what? Not only were the fall leaves spectacular, there was zero traffic on that wonderful mountain route. Zero. But once we got to campus, our luck took a turn for the worse. We encountered the same problem that fans at every major football school in the United States encounter. No place to park. Every lot we came to, some of which had numerous empty spots, said PERMIT REQUIRED. Kickoff was less than half an hour away. It looked like we might not get to our seats before the Vols ran through the T, which would pretty much break my heart. Finally, we spotted a man sitting in a folding chair near the entrance to a parking garage. Friend pulled up next to him, rolled down the window and asked where a person without a permit was supposed to park. Twenty dollars poorer, we hoofed it toward the stadium through a tsunami of orange. Once inside, we made our way to the Z section, which was easy to spot because of all the purple. Purple shirts, purple caps, purple scarves, often mixed with orange hair bows and orange running shoes and even orange-and-white checkboard britches. Everybody in the visitors’ section cheered when the Golden Eagles were introduced. We all cheered when the Volunteers were introduced. And every time UT scored and the band played “Rocky Top,” which happened a lot even though our Golden Eagles played valiantly, everybody in the stadium sang along. I bet that’s never happened in Neyland before. It was one of the many things that made the experience so perfect. After months of political rancor and divisiveness, it was a delight and a comfort to see 100,000 people of one mind and one accord on a sunny autumn afternoon. Here’s hoping our country can find a way to do that, too, now that this dreadful election season is finally over.